Megan (without an h) kicks off Girls FC! 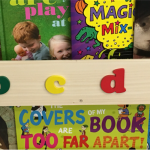 The vagaries of children’s publishing mean that books come, and books go – it’s often hard to work out exactly why. But in the case of Helena Pielichaty‘s superb Girls FC series, we’re delighted to announce that Walker Books have brought them back – with brand new brilliant jackets by Eglantine Ceulemans. 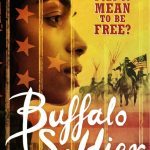 Great stories, brilliant characters, friendships, families, lots of football action – these are perfect for 8 to 12s (of both sexes…). 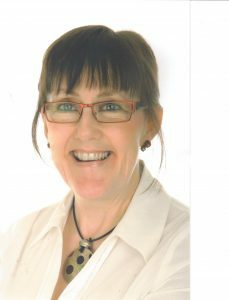 Each book in the series focuses on a particular team member – and how very timely that at the heart of the first – Do Goalkeepers Wear Tiaras? – it’s Megan (this one doesn’t have an ‘h’…) who, frustrated in her attempts to join the school football team, responds by creating one of her own – a girls only team. There’s nothing like bucking the trend, and saving penalties. Back of the net, Helena Pielichaty! 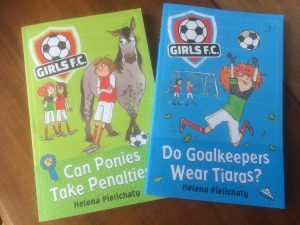 You can buy or order the first two in the Girls FC series – Do Goalkeepers Wear Tiaras? and Can Ponies Take Penalties? – from all good bookshops, or borrow them from libraries.